THE UNARTISTIC ARTIST: Happy Easter! 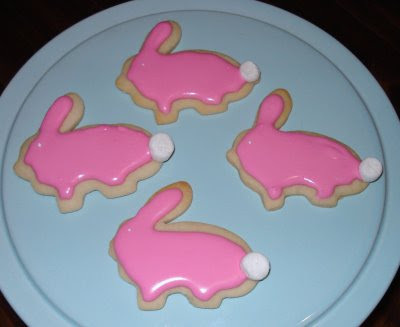 I made these cute little Easter Bunny sugar cookies for Easter this year. If you look closely you'll see I'm not the best at decorating with frosting but I thought they turned out cute anyway. I used mini marshmallows for the tails and little white sprinkles for the eyes. Anyway, hope everyone reading this has had a very happy Easter!